Telecommunications has and continues to radically change every other day with the evolution of network technologies, devices and software. At first we used Telegraphs to send messages over long distances. But this soon changed to the telephone developed by Graham Bell in the 18th Century that got us communicate using land lines. Soon, we realized we had to cut the code with messy land lines and we innovated mobile phones that brought us even more convenience and faster communication. However, the real game changer was the internet. The internet made is possible for us to transmit information as well as human voices and images on the same channel. How cool is that? Then later advances in mobile operating system on smartphones led by the iPhone in 2007 completely revolutionized communication. Here’s how. The internet has provided a genius means of routing calls from one internet device to another, what is termed as Voice over Internet Protocol (VoIP). Skype(now a division of Microsoft) which has become a household name in international calls was the first to ride on this new wave of telephony by then providing free PC-PC calls for Skype users. The service has been attributed to a surge in revenue from international voice traffic for the mainstream telecoms over the years. 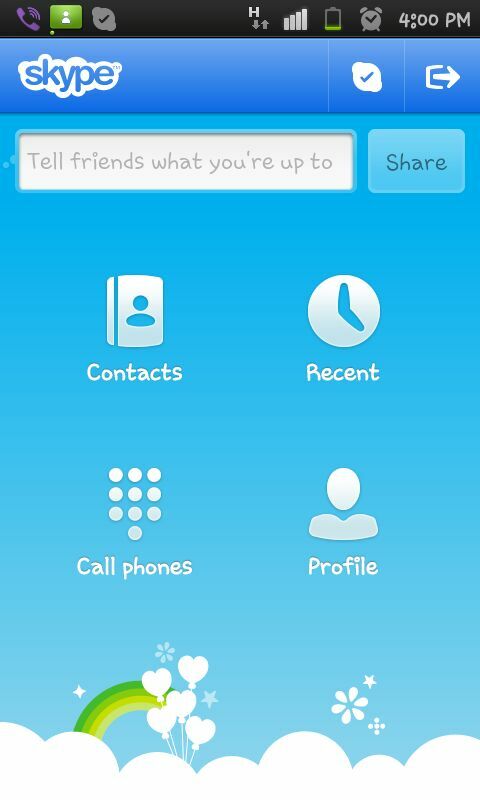 However, the internet Telecom also provides paid PC-to-phone calls through its Skype-out feature. This means you can call your friend’s mobile phone right from the Skype application installed on your PC.The service provider had to partner with mainstream Telecom operators (those running on the GSM network) to terminate calls initiated from the PC user to the mobile user. While our phones used to run “baby software” as Steve Jobs put it, and mobile networks were predominately circuit-switched rather than IP-based, it was difficult to imagine that VoIP could be run on mobile phones. It was impossible to imagine making Skype calls over the phones which would be routed through the users network’s data channel like 3G rather than the convectional GSM circuit-switched channel. But now, with advanced operating systems like iOS and Android that support Multitasking, smartphones with duocore and higher processors, Wi-Fi on mobile devices and mobile faster networks like 3G and soon IP-based 4G LTE, mobile VoIP (Vo3G, VoLTE) is now common place and service providers offering such services are mushrooming every other year. Now it’s possible to make phone-to-phone calls to other Skype users using your data plan instead of your voice minutes making the service everything the Telecoms feared it would be. In other words, forget this per-minute billing model or Airtime as we understand it that your carrier employs. Rather, you can talk as much as your data allows. It’s not just Skype. It’s Viber, it’s Fringe, vonage, truPhone, mobivox and the list is simply endless of me-too service providers. 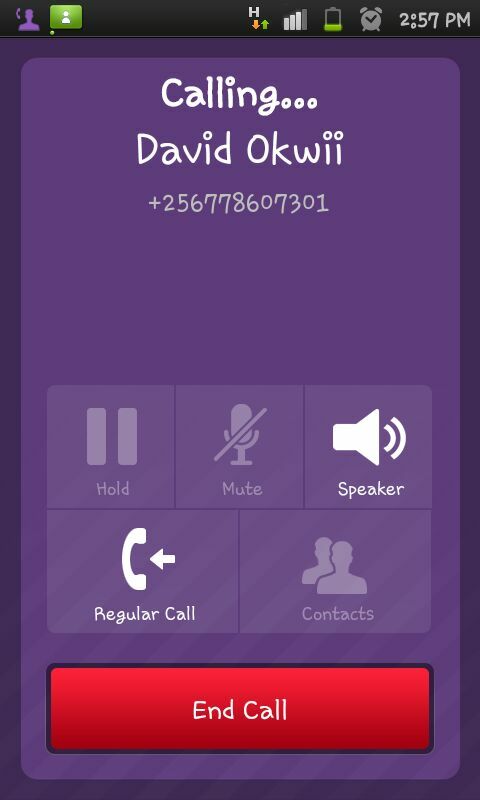 I’ve been experimenting with making Viber calls over MTN Uganda’s “3G” network to other friends of mine on the service. However, am still not impressed by the voice quality which is severely determined by the internet speeds on the network. However, TechPost Mobile Editor Onyait Odeke got some succcess using the service over Orange’s 3G network as seen in this tweet. Recently Facebook, the the largest social network with over a billion people is testing voice feature in it’s Messanger App in Canada. This simply means that the Telecoms will have to relinquish their control over voice traffic to application service providers like Facebook. The social network has been long rumored to release a real physical Facebook phone (which makes all the sense in the world) even though Mark Zuckerberg has repeatively denied the rumors. It’s not just Facebook, Blackberry too introduced voice in BBM 7 enabling a user to escalate a chat session into a voice call when the situation calls for it. The mainstream telecoms have nothing to fear. They just to have to change their goal posts and still remain profitable in a tightly competitive and rapidly changing industry. Telecoms must now relinquish their previously held monopoly in voice and shift to data instead of attempting to sabotage VoIP traffic as some telecoms have tried but in some cases failed (especially for Skype which uses advanced proprietary protocols and encrypted traffic). With the advent of Smartphones whose Apps thirst for huge amounts of data or bandwidth, Telecoms can still rip profits from attractive data packages the same way they did from voice minutes. Onyait Odeke who has since vowed never to buy airtime (for his SMS & voice calls) will still find himself reloading data for his Viber calls and tones of other Apps currently running on his droid. In 5-10 years, mainstream carriers will continue to lose control of voice communication as we know it today to internet application providers like Skype, Viber, Google, Apple, RIM and the list goes on. This is a good thing because these providers know how to innovate giving end users the best of communication. Take Apple’s FaceTime for instance that utilizes rear and front facing cameras of the iOS devices and intuitive software to deliver the best video calls for end users. It has taken years (without much success) for Telecoms to enable video calls to their mobile subscribers. On the other hand carriers are good at moving packets from point A to B. They’re good at routing internet traffic between different nodes, utilizing and optimizing the frequency spectrum, keeping the network up and running so that mobile subscribers can do what matters to them the most.